A medical rescue service in Italy starts on 2016 to think a solution for having a rapid emergency response solution for natural reserve and coastal areas with doctors and nurses at the same time. The MTS – this is the name of the company – has been created for operating in the field with a specific answer to provide “Emergency Health Services in remote areas.” They has supplied a medical motorcycle vehicle, certified and approved according to the Italian Ministry of Transport as a motorcycle for emergency medical assistance. It is the first time that Italian authorities accept that solution for operations outside urban areas. The motorcycle is a KTM SMT 990 model equipped and set up for the transport of electro-medical and medical devices. The design of the bike allows adapting its operation to different configurations: blood transport, medical transportation, first responder BLSD response or – eventually – a setting for operating with a nurse and a doctor. HOW DOES THE MOTORCYCLE AMBULANCE PROJECT WORK? This dichotomy risks being unsolvable and anyway, whatever choice is made, of being too expensive or difficult to sustain on the part of the public. It is necessary to reach a compromise between these two extremes, assessing both the economic impact and the effectiveness of treatments. At this point you can choose a vehicle dedicated to health care without being able to transport patients, injured or ill. It may be four-wheeled (medical car/nursing car) or two-wheeled (medical bike/nursing motorbike), and in both cases, they run in the health network for saving times and saving lives in the territory. The choose at this point is difficult. MRV on cars has a high cost for an half-equipped vehicle, on average > € 30,000. Besides you need to install expensive electromedical equipment. “Necessity” of premises large enough for storage is not forgettable. You will have an entirely “autonomous” team for patient therapy, and you will need the ambulance arrival only to carry the patient to the hospital. The medical car with nurse and physician on board is “the excellent” solution among health supports that the pre-hospital system can offer to the patient. But it is a high cost in terms of employee, training, and equipment. For this reason, usually, EMS reduce the number of necessary workstations extending the travel radius, exposing (not rarely) patients to dangerous delays. Also, this type of rescue vehicle finds practical difficulties to reach the target with the right speed when it has to travel heavily trafficked roads with significant risks and in any case great stress on the part of the crews (city center, seaside areas in summer, remote regions, rough road). The medical response car with a doctor and a “first responder driver” on board reduces the crew’s operational health capabilities but reduces costs compared to the previous vehicle. It keeps unchanged all logistical difficulties and risks related to seasonal and city traffic. This solution has been more often used with a single onboard provider that also rides the vehicle. Doctor, Nurse or Paramedic must have a dedicated driving license and safe driving training. This system turns out to be the cheapest while maintaining the high quality of the work of a health professional on the scene. Once reached the “target” depending on the severity of the patient, the health worker can get into the ambulance to continue the treatment until the hospital. The limits of this solution are represented by the need to have a dedicated driving license and specific training for safe driving by the medical/nursing staff. 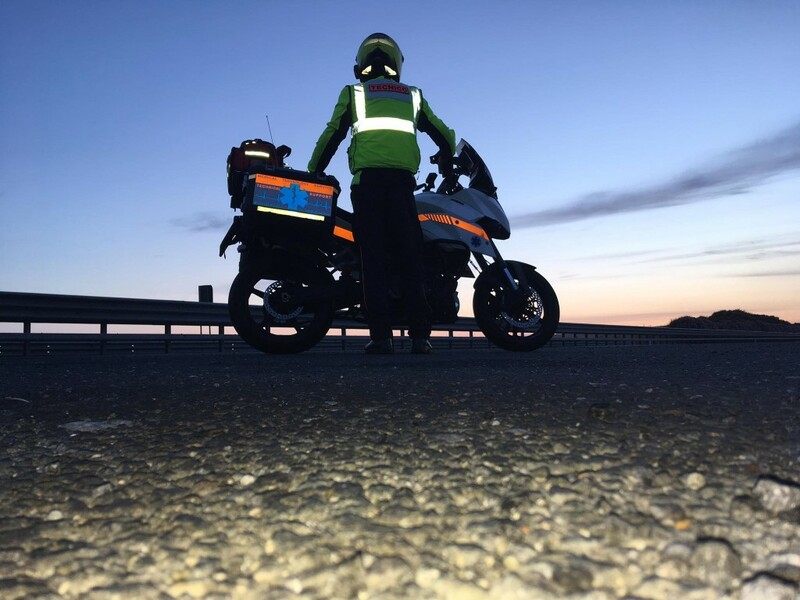 A further limitation is represented by the fact that once aboard the ambulance, the medical équipe leaves the bike unattended. It is necessary to provide a system for which the ambulance bike will follow the sanitary to make it immediately operative after the emergency ends. Medical/nursing motorcycles with pilot and healthcare provider as a passenger. This type of rescue increases costs (current expenditure) compared to the previous one and does not, however, reduce the transport capacity of the material needed for immediate rescue. It requires specific training for safe transport in motion for health personnel. However, the technical preparation and health support of the rider remains necessary for the medical professional. This solution does not set any limits and therefore represents an idea to be taken into consideration in case the doctor has to go up with the patient during admission to the emergency room. This type of rescue reduces costs (current expenditure) compared to previous solutions as the lay rescuer can be drawn from a volunteer association. The lay rescuer must receive the appropriate training for safe transport by motorbike. This solution, however, does not reduce the capacity to transport the material needed for immediate rescue, vice versa reduces the operational ability of the relief (no doctor-nurse-EMT in the frontline). 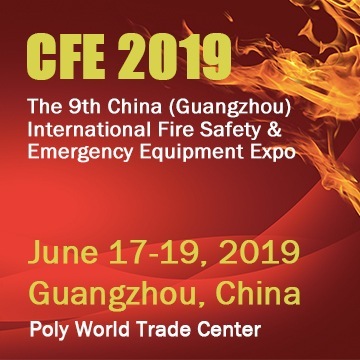 The technology increasingly makes available small devices with ease of use, excellent quality/price interface that exponentially expand the operation of the individual health and/or rescuer in pre-hospital emergencies. To mention some: extra compact defibrillators, monitor to check vital parametres, mechanical cardiac massager, palmtop ultrasound, Portable ventilators, I/O infusion kit, Tourniquet and bendages. The ambulance service on the territory of the Tuscany USL (preceded by a feasibility study) through the use of a motor vehicle as a mean of rescue would be the ideal solution in summer in areas heavily jammed by tourists (such as Elba Island and the coastal area Val di Cornia) and in all those cases in which the traffic can become more congested due to the increase of people during summer. In these situations, among other things, it would no longer be necessary to find other health workers in the summer months because the crew could be the same as the medical car used in the winter months which is divided into two (medical-motorbike and motor-nursing). Moreover, the use of this type of vehicle in a natural environment with a limited population in vast areas could also improve times of arrivals and the respect of the “Golden Hour” standard, without having inappropriate activation of a HEMS crew.